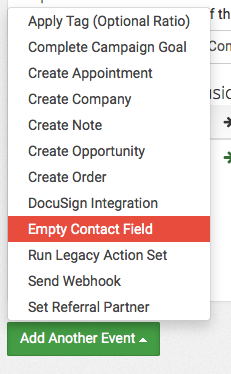 Have you ever populated a standard or custom field on the contact record in order to merge that value into a communication or use that value in a decision diamond - but later wanted that field to be empty or blank? If so, we’ll show you the step-by-step process on how to set that up using Infusionsoft and Parsey. 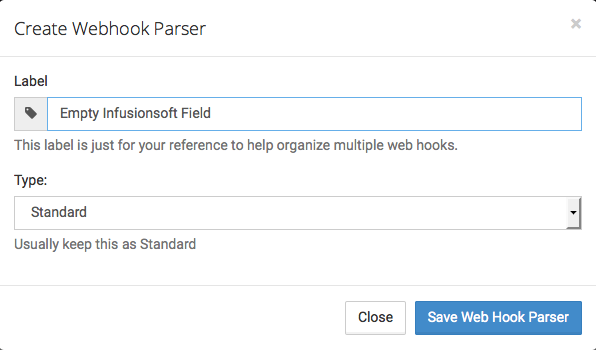 The first thing that you will want to do is go to your Webhook Parsers page and Create a New Webhook Parser. Give your Parser a Label. I'm labeling mine Empty Infusionsoft Field. Then click Save Web Hook Parser. Now copy the URL that is generated when you created the Webhook. Note: Don't use the URL in this article. 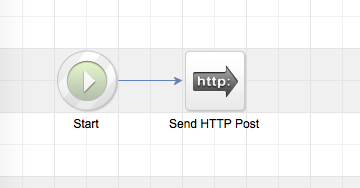 In your Infusionsoft Campaign, add a Send HTTP Post icon to your campaign. Double click it to configure it. Now Paste in the URL that you copied earlier in the article and switch the HTTP Post from Draft to Ready. Now switch the Sequence from Draft to Ready. Publish your Campaign and push an HTTP Post to that URL. Then, once its been posted, go back into Parsey, click the Gear Icon on your Webhook Parser, and select Edit Fields. Now check the box for ContactId underneath Webhook Data. Click Configure Actions on the right side of the screen. Connect your Infusionsoft account. If you don't know how to do this, visit this article: Connecting to Your CRM. 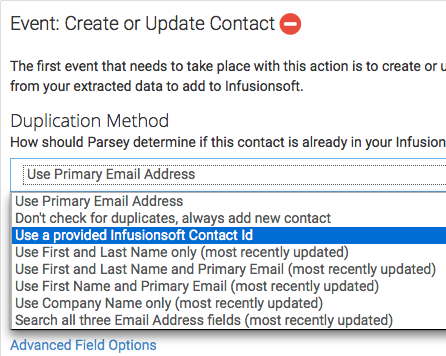 Now, under the Create or Update Contact Event, select Use a Provided Infusionsoft Contact Id as the Duplication method. Then, next to ContactId, select Use as Contact Id to update existing record. Click Save Contact Settings. Once the green Add Another Event button appears, click it, and select Empty Contact Field. 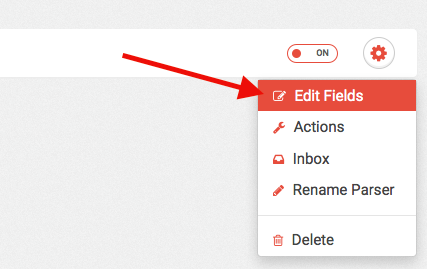 Then select the field that you want to empty inside the Contact Record. I chose Nickname. Now click Save. Click Actions at the top of the page. Switch the Action from OFF to ON. 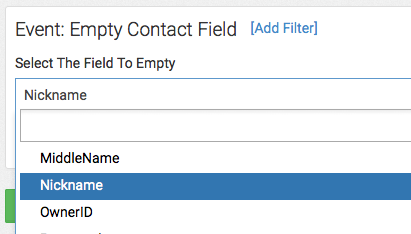 Your Parser is now fully active and now you can use it to empty fields inside the contact record.